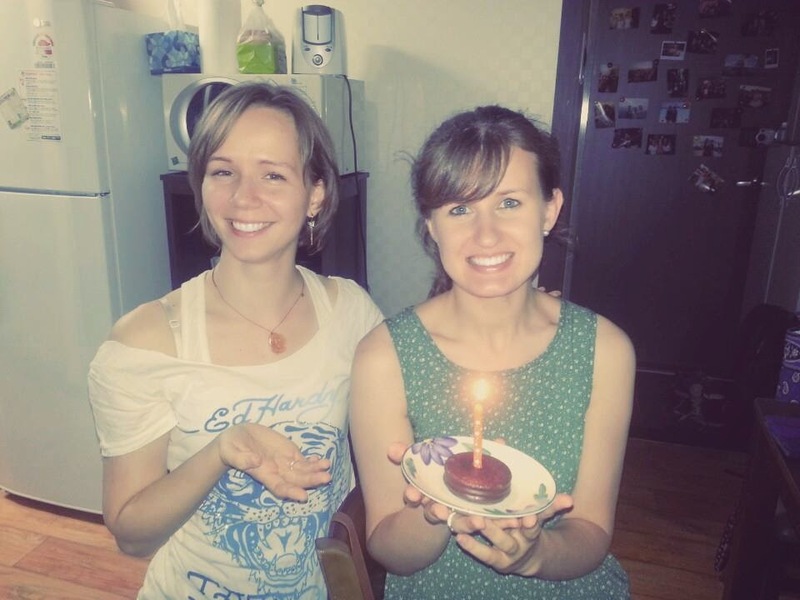 Having a birthday at the end of June means that over the years I've experienced all of the benefits of having a summer birthday. When I was younger that meant being able to run around outside or having the option of doing water activities at my birthday parties. But most importantly, my June 26th DOB has always meant that I would never have to go to school on my birthday. I made it all of these years without stepping foot in school on my birthday, but alas! 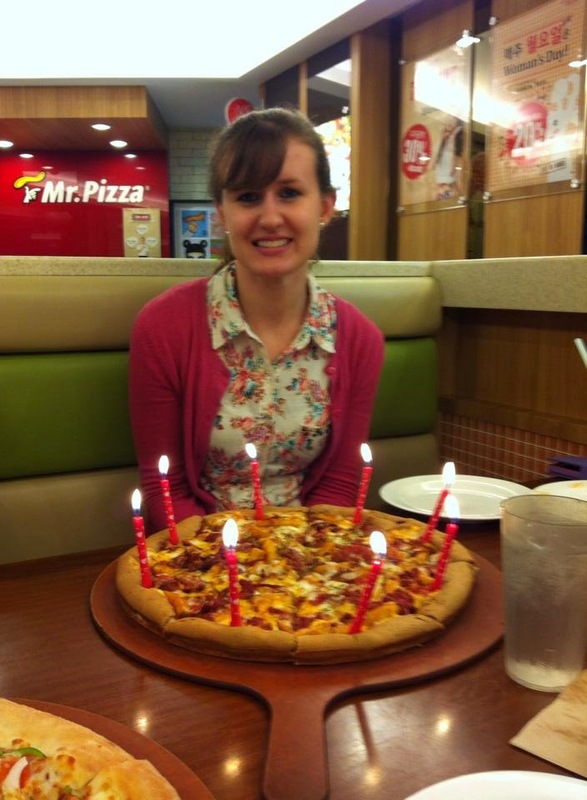 At 25 my birthday fell victim to Korea's summer semester. I wasn't exactly thrilled to go to school on my birthday, especially since Thursdays are my craziest days. With six classes, I pretty much don't stop teaching all day. However, my attitude quickly changed as I went to my first class with my second grade boys. As soon as I walked in they began singing to me, and shortly after started giving me tons of snacks. While they may just look like small snacks, have no doubt, these boys take their food seriously. In fact, after morning classes there is a bread truck that comes to school. 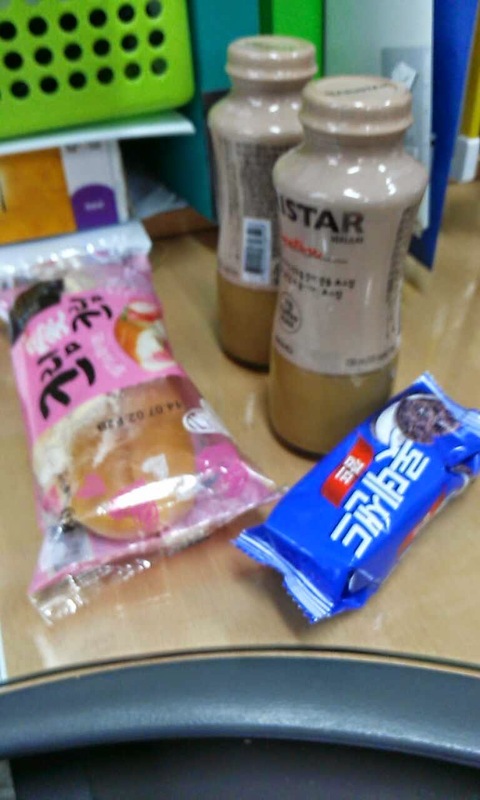 The students all rush there to buy snacks as if it is the most important thing in the world. I suppose when your life is completely consumed by school the little things make even more of a difference. Regardless, I could really appreciate the sentiment behind their gestures because I know snacks aren't really JUST snacks to these kids. The day kept getting better as I met my 1-6 class. Many of the students came into class normally, but when the bell rang they told me to close my eyes. The next thing I knew they turned the lights off, were singing to me, and bringing a tower of choco pies with a candle towards me. 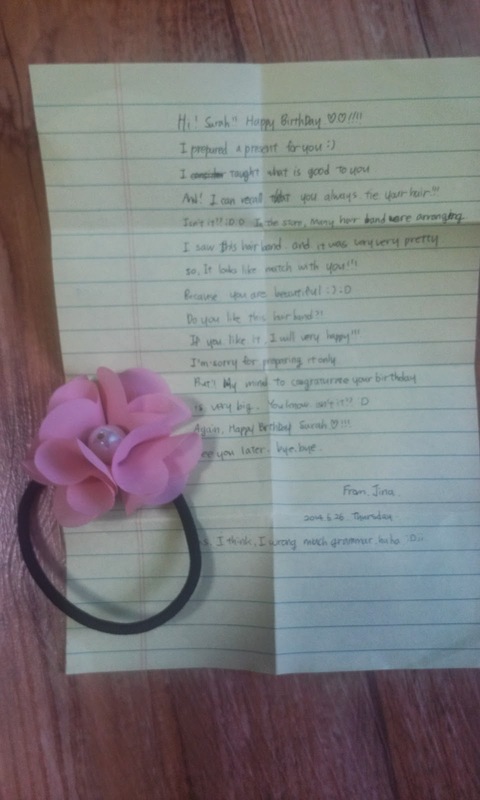 Needless to say, I was thoroughly surprised, and super touched by their gestures. 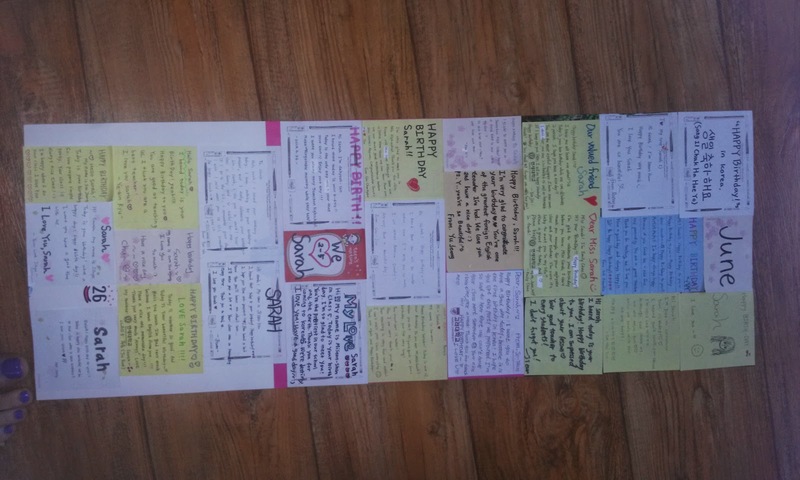 They also each wrote a birthday message to me, which I will obviously be keeping with me for forever. My awesome 1-6 class. I love these girls! So many notes. So touched! 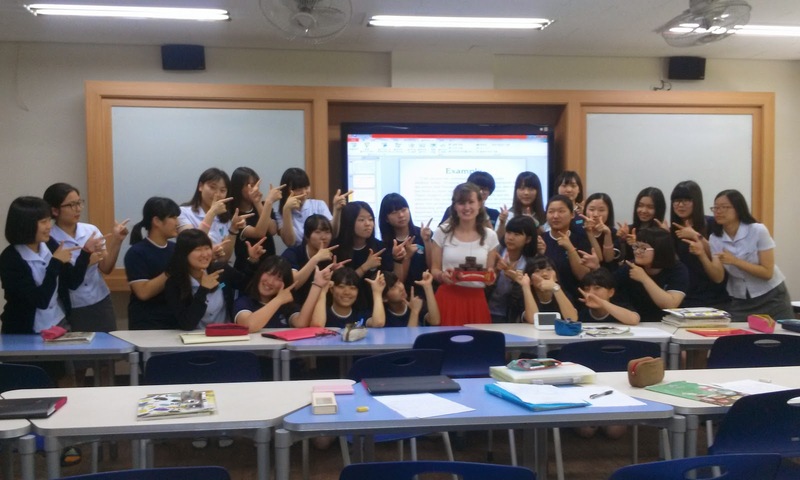 After lunch I went to my 2-5 class where I was surprised yet again. As I went to the 2-5 classroom I noticed the lights were all off, which made me a bit suspicious. As soon as I opened the door, all of the girls started singing, presented me with a beautiful cake, and gave me a huge card. 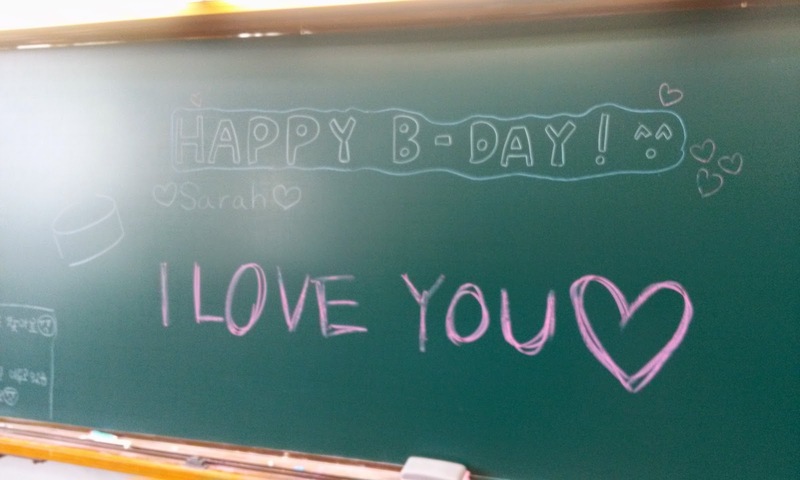 As if that weren't enough, they also decorated the chalkboard. I was so touched I think I had to wipe away a few tears. 2-5 girls. LOVE teaching them!! 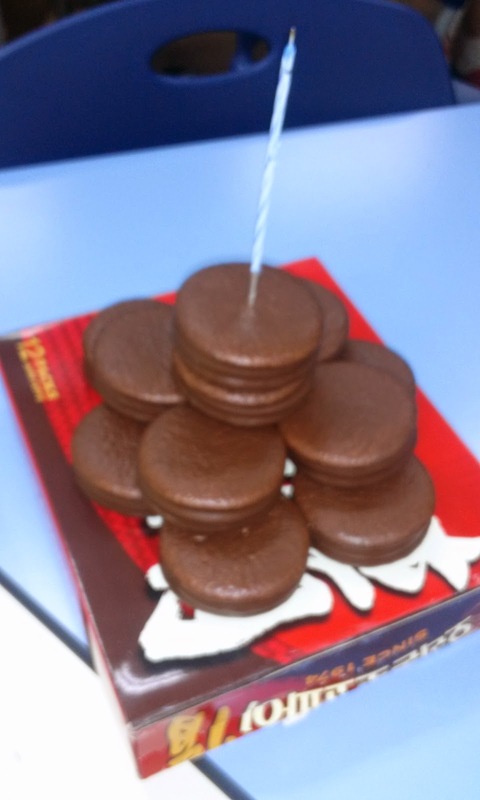 Throughout the day students kept yelling "happy birthday!!!!" to me as I walked through the halls. 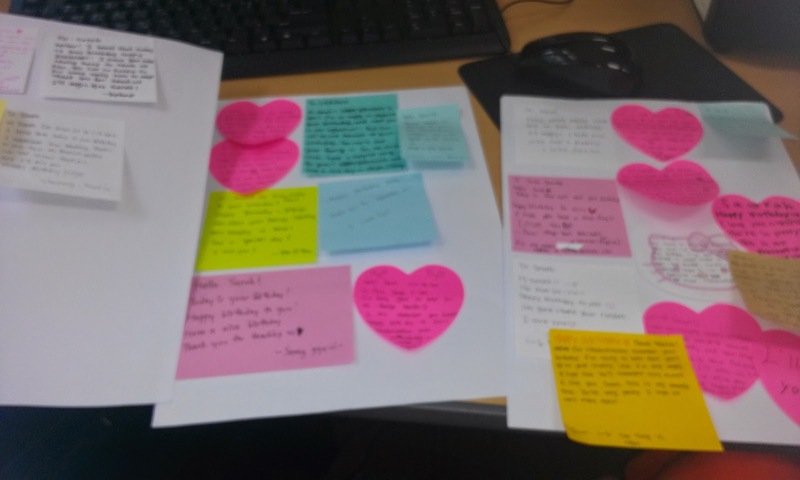 Aside from these organized efforts, many other students gave me small gifts and notes. One of the 1st grade boys from my night class and his friend (who I don't teach) came and gave me these. 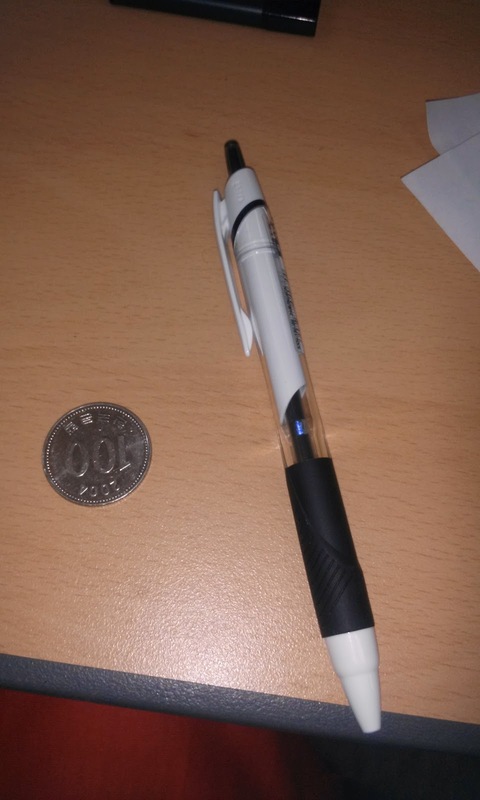 Yes, that's 100 won and a pen. They told me to keep them forever and bring them back to America with me. Oh, boys. One of the third grade girls (who I don't teach anymore) found me to give me this. Too cute! 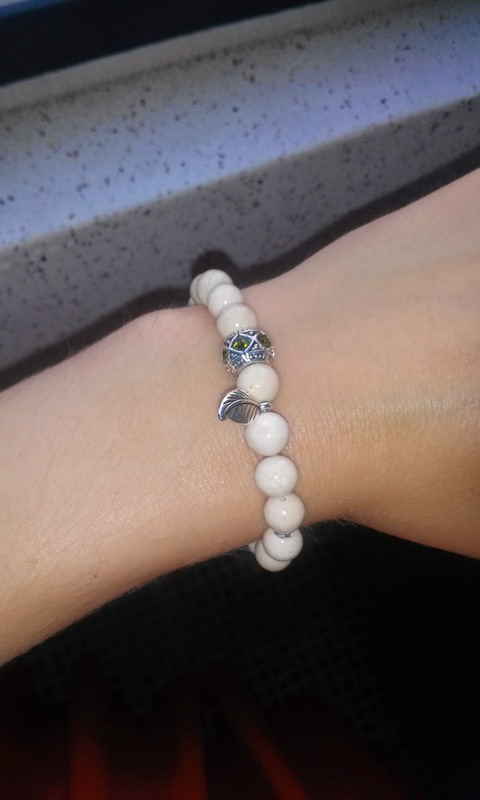 I spent the entirety of the day feeling incredibly touched, and as I was heading home my co-teacher also gave me a bracelet that she made for me. 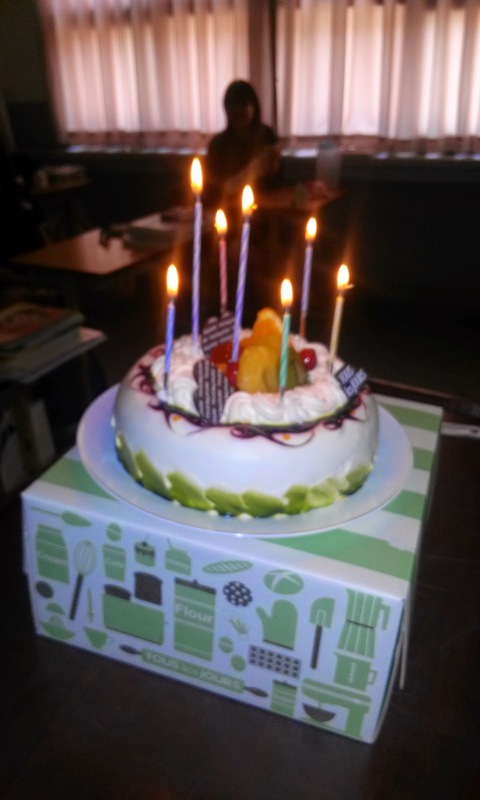 I have to say, I never expect anything on my birthday, but I certainly never in a million years could have imagined that my students would even remember my birthday, nevermind make such a big deal out of it. This wasn't where my birthday ended either. 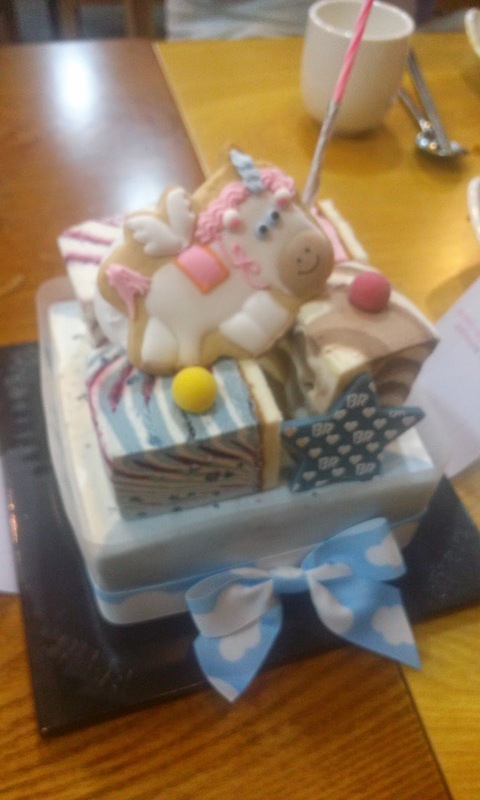 After school I went out to dinner with some friends, where they then surprised me with an ice cream cake. After that we got a few drinks--the evening was quiet and calm, the perfect ending to a great day. 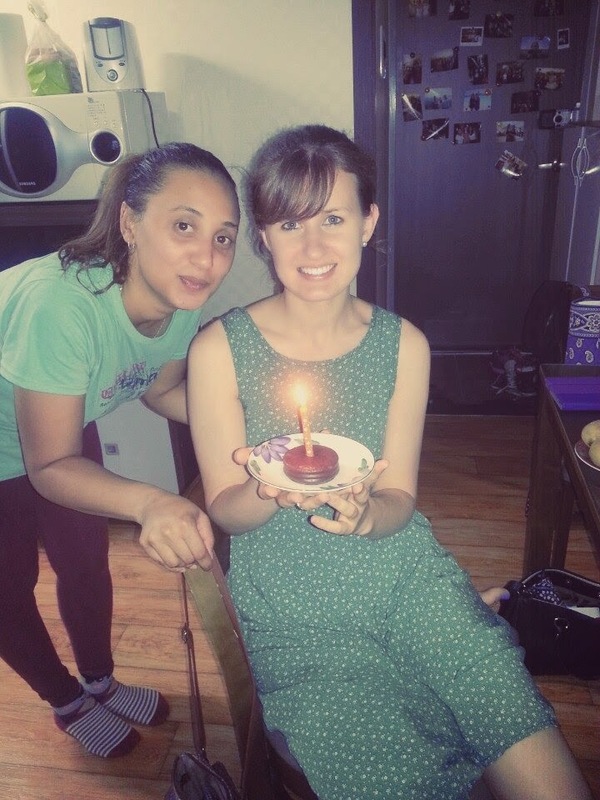 A few of my friends also surprised me with a mini birthday celebration on Wednesday at our bible study group. Finally, my classes that I had today and didn't see yesterday also made sure to recognize my birthday. 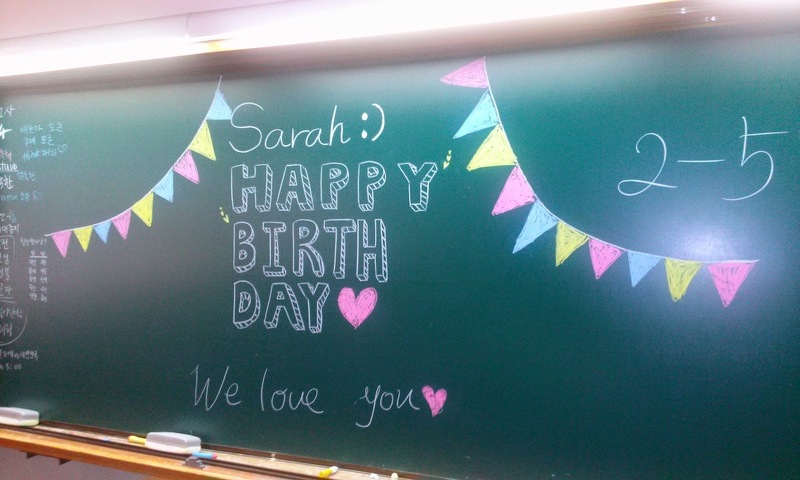 2-4 decorated their blackboard and sang to me, and the 2-1 boys sang to me and gave me some random assortments of food. 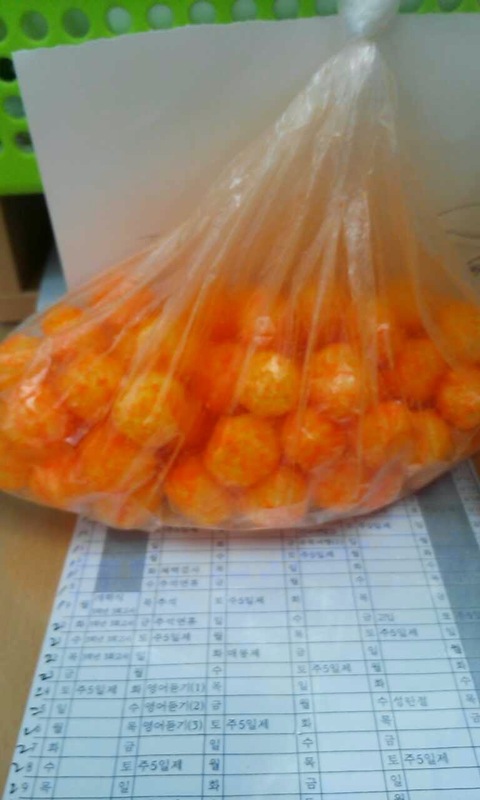 My favorite was definitely the bag of cheese balls. When they gave them to me they told me that I might need to put them in the microwave for 30 seconds because of the humidity. They then told me maybe they won't taste good, and if they don't, I should throw them away. Ummm....thanks? This is just more evidence that teenage boys are teenage boys no matter where you go in the world. The most memorable part of the day for me was when one my second grade boys gave me this picture he drew of me. These kids think of everything! 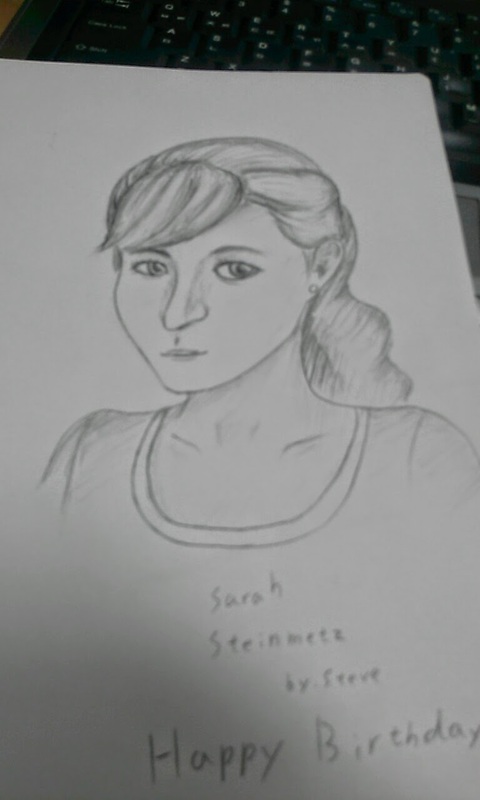 Picture drawn by one of my second grad boys. All in all, I don't think I've ever felt so overwhelmed with love on my birthday. I've been struggling to find motivation for school lately, but all of these gestures made me appreciate once again just how AWESOME my students are and how unbelievably blessed I am to have been able to work with them this year. There are some days where going to school feels like a struggle, especially since it can feel isolating at times when I can't communicate with any of my co-workers. 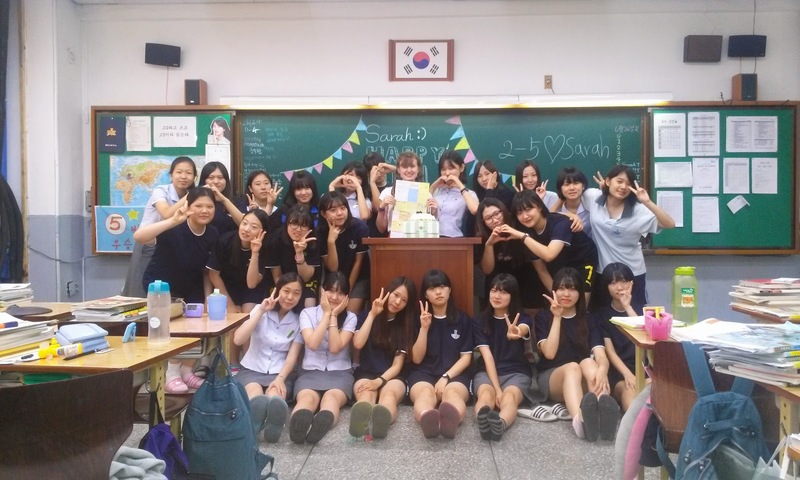 But as I've said numerous times before, these kids are hands down the highlight of my time at school, and my time in Korea as well. I can't believe my time with them is coming to an end so quickly, but I'm thankful that I'll always have these memories with them. I think many of my friends and I have been having the realization at 25 that whoa! We're really adults now! It's a little stange, but instead of lamenting this fact, I couldn't feel more satisfied to look back on 24 as the best year of my life yet. I am happy to welcome 25 with open arms. If it's even filled with half of the love, adventures, and learning experiences that this year was, I will consider myself one very lucky girl.